Early 20th Century British airship station. 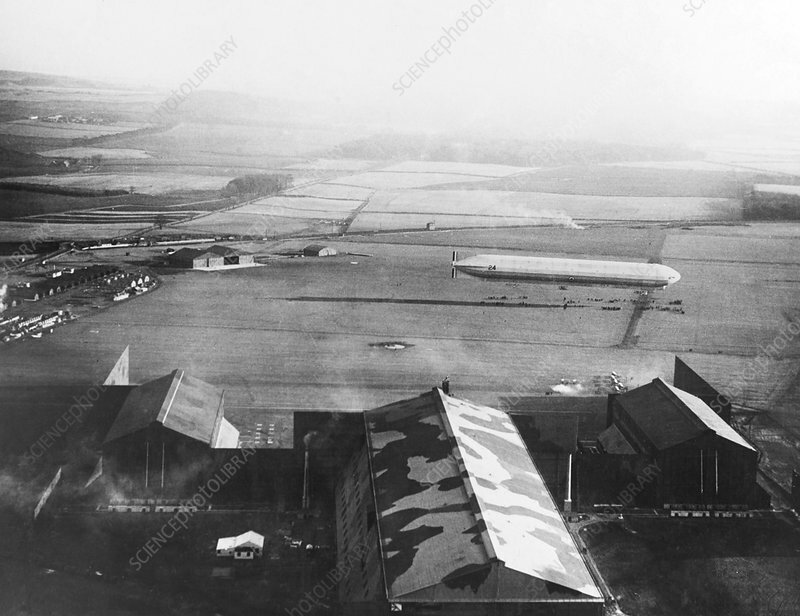 Aerial view over a large British Airship station, showing an airship being hauled down by cables in order to make a landing (centre-right). Photographed circa (1910-1919).